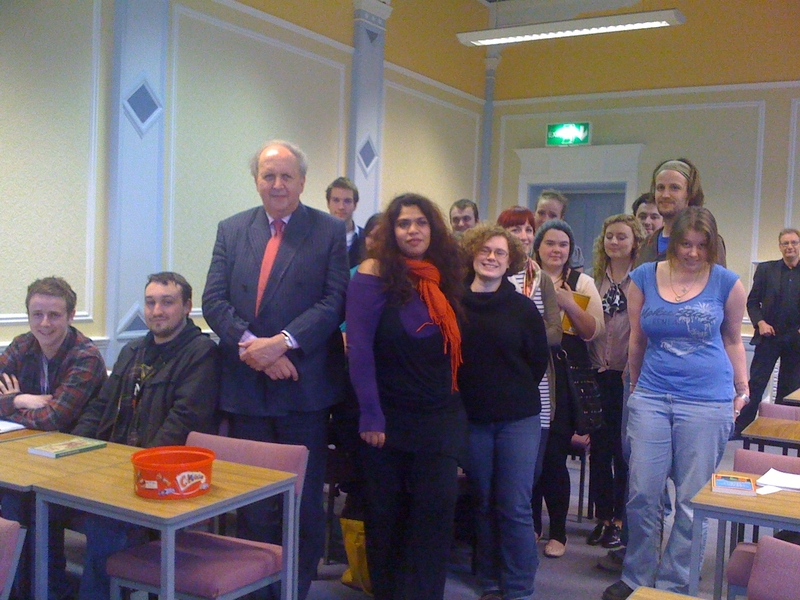 On 25 March, the Edinburgh based writer, Prof Alexander McCall Smith, the author of over sixty books (including the the No.1 Ladies Detective Agency Series, 44 Scotland Street series), stopped between his travels around the world to come and give a talk and do a Q/A session with the Year 2 and Year 3 students doing the Creative Writing modules on the English degreee at Edinburgh Napier University. Dr Bashabi Fraser, the Module Leader, has had a stream of email messages from students and staff since then, saying how enthralled they were by the session. The students were both inspired and mesmerised and took away free signed copies of McCall Smith’s books which will probably be cherished keepsakes to be shown off in the future as a reminder of what was, a riveting experience.